Patty Duke, who became an iconic teenage star with legions of fans from her hit TV series The Patty Duke Show, passed away earlier today at the age of 69. Her rep Mitchell Stubbs confirmed to ABC News that the actress died from sepsis from a ruptured intestine. Here's what the actress' family had to say in a statement about Patty Duke's passing. "This morning, our beloved mother, wife, matriarch and the exquisite artist, humanitarian, and champion for mental health, Anna Patty Duke Pearce, closed her eyes, quieted her pain and ascended to a beautiful place. We celebrate the infinite love and compassion she shared through her work and throughout her life." Patty Duke was born Anna Marie Duke on December 14, 1946 in Elmhurst, New York, to Frances (McMahon), a cashier, and John Brock Duke, a cab driver and handyman. She started performing at a young age, with bit parts in commercials and movies before she landed the iconic role of Helen Keller in the Broadway play The Miracle Worker in 1959. She went on to reprise her role as Helen in the movie adaptation, winning an Oscar for Best Supporting Actress at the age of 16, becoming the youngest Oscar winner in history, at the time. 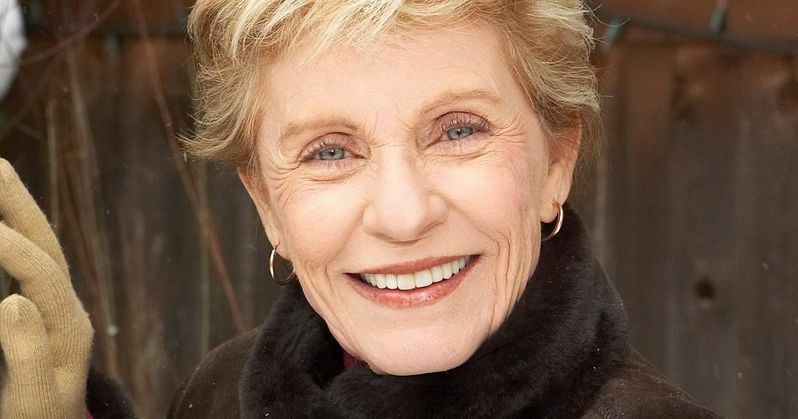 In 1963, she launched The Patty Duke Show, a hit sitcom that ran for 105 episodes between 1963 and 1965. The actress played both Patty Lane and Cathy Lane, identical cousins who lead completely different lives. She went on to star in movies such as Valley of the Dolls, Me, Natalie, You'll Like My Mother, The Swarm, along with TV shows such as It Takes Two, Karen's Song and Hail to the Chief. The actress most recently had guest starring roles on Glee and Liv and Maddie, and her final film Power of Air is in post-production. Patty Duke is survived by her husband Michael Pearce and children Sean Astin, Mackenzie Astin and Kevin Pearce. Do you have a favorite Patty Duke role?